Do a Google search for “benefits of coloring for adults” and you’ll find a plethora of articles about coloring to relieve stress, overcome grief, add creativity to your life, keep your brain active, and more. It’s more than just a fad. It’s part of being human. 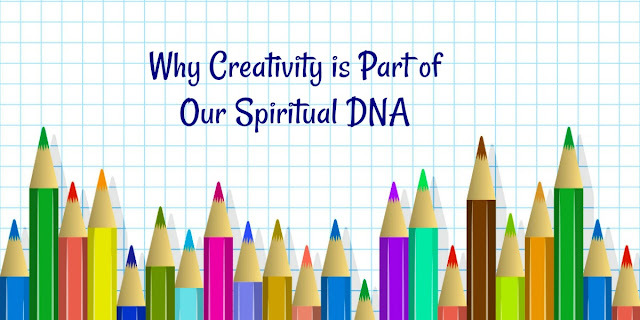 We have an innate desire to be creative, and it's healthy for us! Creativity comes in many forms: photography, writing, building, gardening, decorating, baking, cooking, etc. The Bible also highlights a New Testament believer named Tabitha who used her sewing skills to bless widows in the church (Acts 9:39). We're made in the image of the ultimate Creator, so creativity is in our DNA. 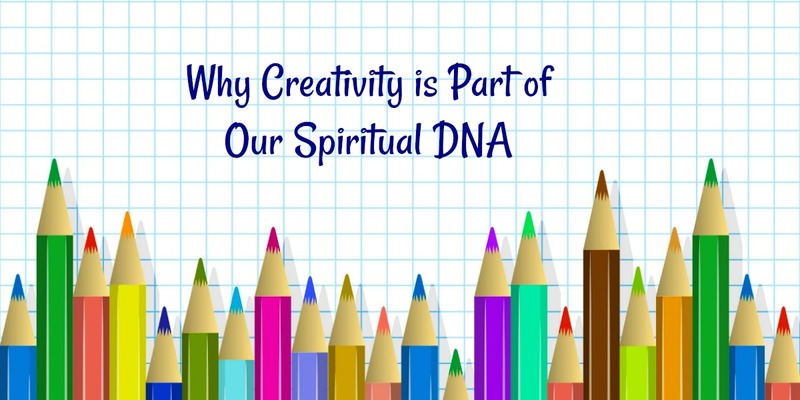 Grand or simple, I challenge you to do something creative for the Lord this week. It's healthy for you! 1. God could have made a plain, black and white world. But He didn't. I encourage you to read "The Firefly." Genesis 1:31: God saw all that he had made, and it was very good. And there was evening, and there was morning--the sixth day. Revelation 4:11: Thou art worthy, O Lord, to receive glory and honour and power: for thou hast created all things, and for thy pleasure they are and were created. 2. 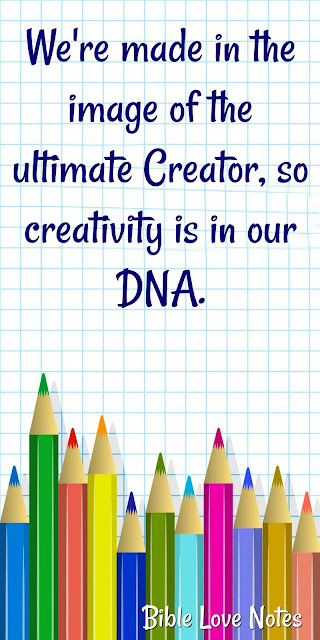 Never underestimate how God can use something creative that you do in His Name. Luke 16:10: "If you are faithful in little things, you will be faithful in large ones. But if you are dishonest in little things, you won't be honest with greater responsibilities. 1 Corinthians 10:31:So whether you eat or drink or whatever you do, do it all for the glory of God. Colossians 3:17: And whatever you do, whether in word or deed, do it all in the name of the Lord Jesus, giving thanks to God the Father through him. Colossians 3:23: Work willingly at whatever you do, as though you were working for the Lord rather than for people. 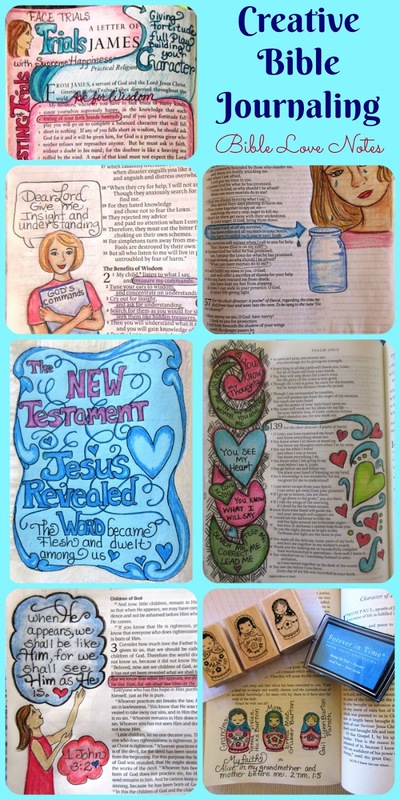 Did you know that Bible Love Notes has a "Jesus Journaling" group on Facebook? 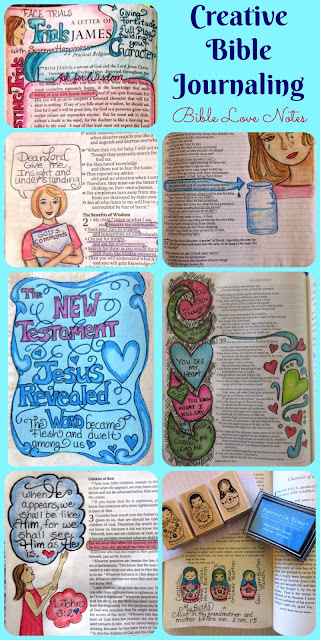 I'd love to have you follow The Bible Love Note's Pinterest Page and enjoy all of the Devotion Boards as well!